KidsHealth creates licensable content exclusively for children’s health and parenting. Our pediatric expertise distinguishes KidsHealth content from general content libraries. Provide education for parents and patients with KidsHealth’s age-appropriate content. 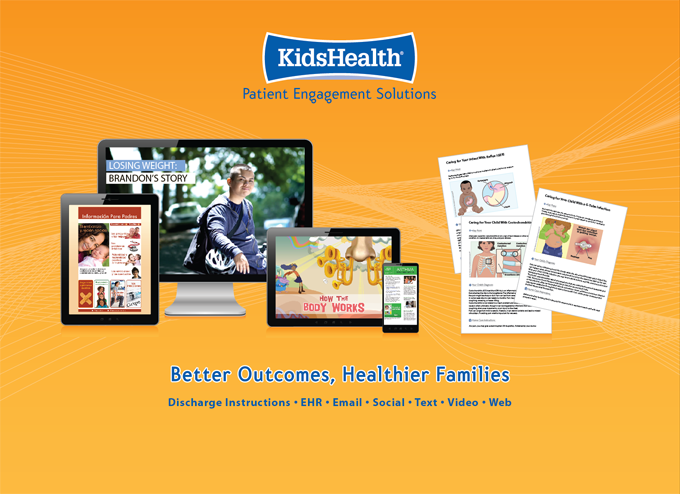 Set your pediatric services apart with KidsHealth content.